Balch Institute for Ethnic Studies - A specialized library devoted to the history of immigration and ethnic life in the U.S.
California Ethnic and Multicultural Archives (CEMA) - A division of the Special Collections Department of the University Libraries at the University of California, Santa Barbara. CEMA advances scholarship in ethnic studies through its varied collections of primary research materials documenting the lives and activities of African Americans, Asian/Pacific Americans, Chicanos/Latinos, and Native Americans in California. The collections represent the cultural, artistic, ethnic, and racial diversity that characterizes the state's population. Center for World Indigenous Studies (CWIS) - A research and education organization dedicated to wider understanding and appreciation of the ideas and knowledge of indigenous peoples and the social, economic and political realities of indigenous nations. Centre for Research in Ethnic Relations (CRER) - A major academic body in the UK for the research and teaching of aspects of race, migration and ethnic relations. Based at the University of Warwick. Code Switch - NPR team of journalists covering themes of race, ethnicity and culture. ColorLines - A leading magazine on race, culture, and organizing devoted to covering the politics and creations of communities of color. Five Views: An Ethnic Historic Site Survey for California - In 1979, the California Office of Historic Preservation recruited experts to write narrative histories and identify one hundred recorded historic property sites for each of five ethnic minorities in California: California Indians, Black Americans, Chinese Americans, Japanese Americans, and Mexican Americans. 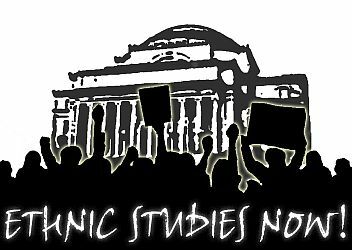 Minority Studies - Directory from Voice of the Shuttle. Mixed Race Studies - Scholarly perspectives on the mixed race experience. RomNews Network - RomNews is a regular information service about Roma and Roma refugees in English. Present-day distribution There are today about 12-15 million Roma worldwide (approx. 12 mil. in Europe). Most live in the Balkans (especially in Romania), Central Europe and the former Soviet Union. Fewer live in Western Europe, Middle East, North Africa and America. Roma can be subdivided into groups, which are described as nations, depending on place of residence or origin. European nations include Spanish "Gitanos", French "Manouche" and German "Cinti". Tim Wise - Anti-racist writer and educator, Tim Wise home page. Unity: Journalists of Color - A strategic alliance of Asian American Journalists Association (AAJA), National Association of Black Journalists (NABJ), National Association of Hispanic Journalists (NAHJ), and Native American Journalists Association (NAJA). UNITY develops programs and institutional relationships that promote year-round journalism advocacy and education, with a focus on fairness and accuracy in news coverage as well as diversity in the newsroom. This webpage last updated on Friday, January 13, 2017 12:35 PM.